I am sort of obsessed with this book. 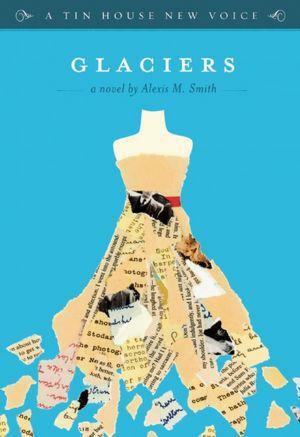 I downloaded and read Glaciers totally out of the blue this week. It was a recommendation from a favorite BookTuber, Mercedes of Mercy's Bookish Musings (click to visit her video review). And basically, her review was so glowing and intriguing, that I had to read the book for myself. This one can rightly be called a novella at a scant 113 pages (print) or 83 (Nook). However, I was truly amazed at the quality and nuance and sheer amount of storytelling Alexis M. Smith crammed into such a short work of fiction. Isabel, the protagonist, is a 20-something who works in restoration at a library. She has a secret crush on a co-worker, Spoke, who is out of the military. The narrative hops back and forth between one day in Isabel's life--working, having lunch, shopping for a dress, preparing for a party--and her childhood memories of growing up with her parents in Alaska. It's such a simple premise, but there's so much going on. Isabel is a collector of stories. Since childhood she's loved picking out postcards and old photos and buying just the right one and thinking through what the people's lives must've been like. She shops in thrift stores and is thoughtful and introspective and somewhat shy and just lovely. I don't want to give too much away, because if I do, I've ruined the whole novella for you. But essentially, Isabel has to think through and work through other people's stories in order to begin telling her own. It's by imagining the stories of others, and examining her own experiences, that she really begins to establish her own identity. Its' just a lovely little jewel box of a book, and I can't wait to read more from Smith, and I can't wait to read more from Tin House Books. 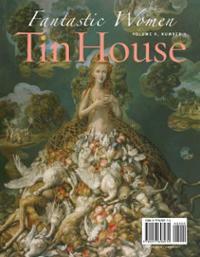 I used to read issues of the Tin House literary journal in the bookstore when I was in my early 20s. They publish short fiction and poetry in the journal, and I don't think they'd started publishing when I was reading. I remember buying one particular issue when I was young: #33 Fantastic Women. It had a short story in it that absolutely knocked me over. For the life of me, I can't remember the author's name, but I remember the story and the way it made my head spin a little. I'm really glad I read Glaciers and started thinking about Tin House and how profoundly that particularly story affected me. I'll be re-purchasing the issue since it's long gone--lost in one of my moves. Reading Glaciers was a pleasure, and I'm so glad I got to explore some of my own memories in the process of reading it. Thanks for recommending Glaciers! I don't think i would have come across it on my own. And since i do judge books by their covers, I have to say this one looks good so far! You're most welcome! It's one of those books I will praise endlessly and recommend a ton and shout about from the rooftops. The writing is just so lovely. hey, thanks, this sounds great! Isn't lovely when a book we get on a whim like that is so good? And so cool that you rediscovered Tin House, those magazines sound worth looking into too. It is a WONDERFUL feeling!!! I'm so glad I followed my gut and downloaded it. I'm considering buying a "keeper" copy, I liked it so much. And Tin House is amazing. Totally worth the cost of a subscription. Speaking of, I need to see if they have a digital subscription! I've been drawn to that book because of its gorgeous cover so I'm glad to see it's so good. It absolutely delivers on content. The writing is gorgeous and detailed in a wonderful way. I downloaded this to my kindle ages ago and started but never finished. I really liked that it was a present day story that I felt I could relate to. I need to attempt again because the length really does lend itself to one sitting. Glad to hear you enjoyed it! I'm even more excited to give it a go (and try to actually read a book)! Beth, I hope you like it if you try again. I actually read it over the course of two or three days, and while it was lovely, it would've been even more powerful in one sitting. I'll definitely re-read. Yay! I'm glad you liked it and now I must read it. I've been needing some short amazing fiction in my life. So freakin' many awesome books. What's a girl to do? With the book depository sale today and the BOGO audible sale as well - bad day for the wallet! This is it, Brooke! 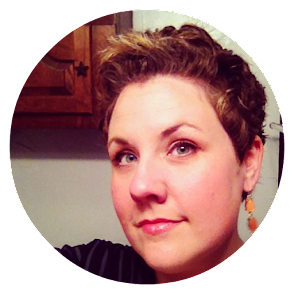 Short, amazing fiction, ready for you! I didn't know there's a Book Depository sale. O.o! I really liked this one too! I'm so glad to see it being talked about too, as this book really deserves a wider audience. Yes it does! And I'm happy to trumpet the message. Glaciers almost sounds like it has hints of Amelie in it. :) I'm starting to love novellas more and more. I hadn't thought about it that way re: Amelie, but I think you're exactly right! Not quite as quirky but definitely some similarities. Oh I love a good novella from time to time. They are just the thing after finishing a chunkster. I may have to pick this up once I finish Under the Dome! Yayyyy! I hope you love it, Sam! A lovely review- I have heard so many good things about this book! I bought this on a whim not long after it came out and was so surprised by how sweet and small the print version was when it came to my doorstep. I just adore when a book can say so much in such a small space and with such simplicity. I had never heard of Aimee Bender until I stumbled across her in the library the other day. I just started reading "Willful Creatures" last night. It's really good so far. I loved Glaciers, one of my top books of 2012. That cover! Sounds like a wonderful book. I'll have to check out Tin House Books.